Priyanka Gandhi Vadra was appointed as AICC General Secretary for Uttar Pradesh East by Congress president Rahul Gandhi on Wednesday. 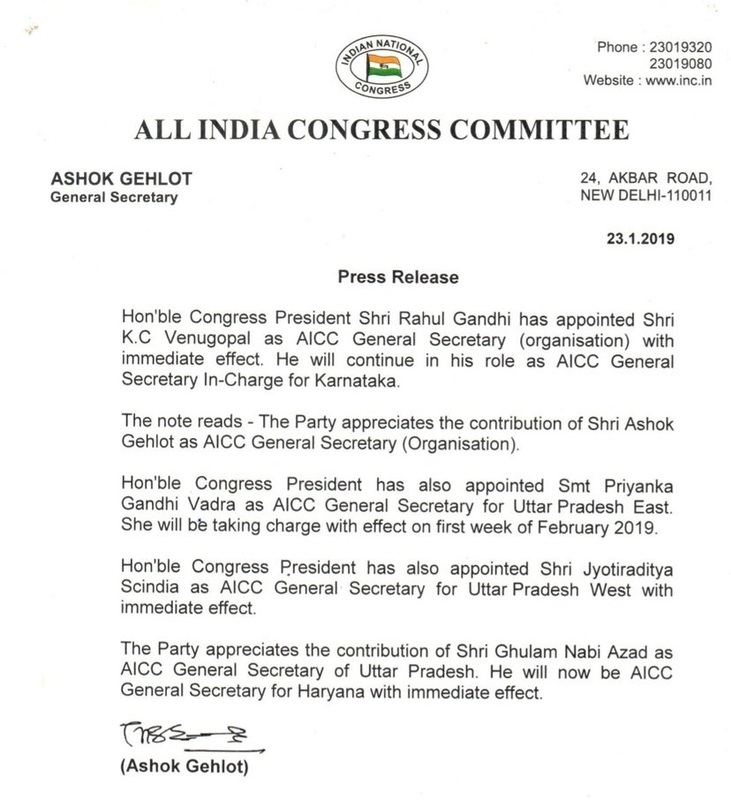 New Delhi: Priyanka Gandhi Vadra was appointed as AICC General Secretary for Uttar Pradesh East by Congress president Rahul Gandhi on Wednesday. Announcing Priyanka’s formal entry into active politics, Congress informed that she will be taking charge of her responsibility with effect from February first week. 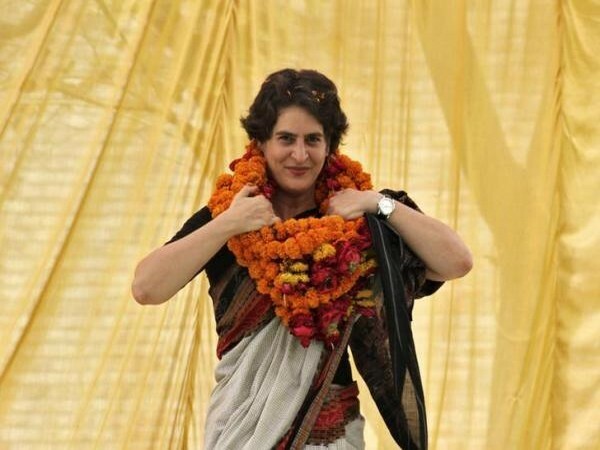 During earlier elections, Priyanka had kept herself limited to campaigning for Rahul and Sonia Gandhi in Amethi and Raebareli parliamentary constituencies only. Incidentally, both Amethi and Raebareli are also part of Uttar Pradesh East, the region of which Priyanka has been given charge as General Secretary.